During spring and summer, foraging for samphire is a pleasure. There are two types of samphire: Marsh Samphire and Rock Samphire. Although they have a common name, they are two unrelated species of plant. The salty taste of each samphire plant brings a nutritious taste of the seaside to any dish. Marsh Samphire describes a genus of plant, rather than a single species. It is a plant that has been collected and used for centuries, not only as a food but until the last century it provided a raw material used in the manufacture of glass, hence its other common name ‘glasswort’. Grows in salt marsh areas near the sea, such as estuaries and mudflats. Because of the environment, picking it can be rather messy, but if you don’t mind a bit of mud then it is well worth the effort. The best time to forage for Marsh Samphire is late spring to summer. Look for long, thin spikes that look like miniature asparagus stalks, often growing in large numbers. To harvest, pinch or use scissors to snip the tips of the stems, leaving the tough, yellow lower stalks intact. This allows the plant to regrow, plus you save time later as you won’t have to cut the tougher parts off. Wash samphire thoroughly. It can be eaten raw in salads, or lightly steamed or sauteed in butter for two minutes. Do not add salt, this plant has a strong, natural saltiness. Similarly, it is best to avoid cooking in a dish with other salty foods such as bacon or anchovies. Marsh Samphire works well with any fish dish, or try with eggs or lamb. Rock Samphire has flattened, succulent leaves and umbels of yellow flowers. Its growing season is May to September. Found growing in clumps of rocky coastlines. 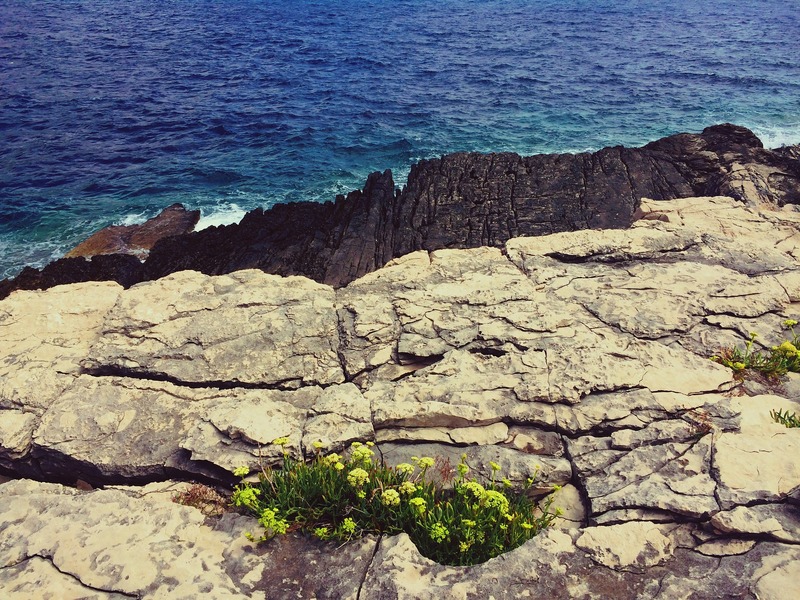 Rock Samphire often grows on cliffs and can be dangerous to collect, so avoid doing so if perilous, but there is still much to of it to be found at low levels, such as the foreshore of rocky beaches in the UK. To harvest, just pinch off the parts you want, and do not remove the whole plant. Like Marsh Samphire, Rock Samphire has a salty taste, yet with it comes the strong aromatic flavour of parsley. The taste is very strong and spicy, so use sparingly if raw, or try it steamed or stir fried. Traditionally, stems of Rock Samphire were preserved by pickling in vinegar. Take care when foraging for samphire, and never pick plants from areas that are not clean. Just like you wouldn’t pick berries or greens that could have had a dog wee on them, do not pick sea vegetables from polluted areas. 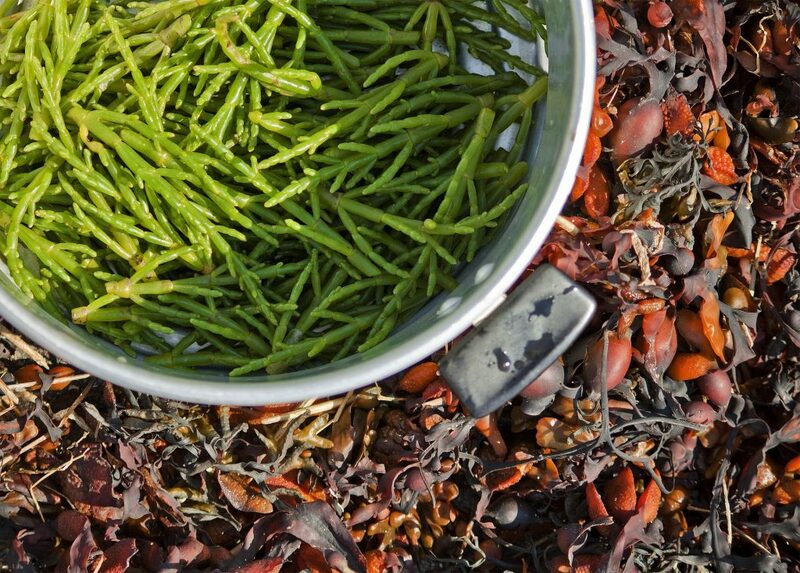 Do you forage for Samphire? Please share your recipes in the comments! Are you interested in the idea of foraging, but are not sure how to start? Have you been wondering what you can actually cook with the wild foods you have gathered? Imagine being able to recognise wild foods, and enrich your diet for free! What if you knew the medicinal benefits of the plants around you, and were able to make healing remedies instead of relying on synthetic medications? With that knowledge in mind, taking an outdoor stroll would take on a whole new significance and meaning. Want to know more about foraging? 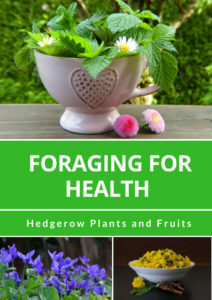 Get a copy of Foraging For Health – Hedgerow Plants and Fruits now!